When I was growing up, my parents were active members of the Art Institute of Chicago, and I remember following them through many a family weekend outing. 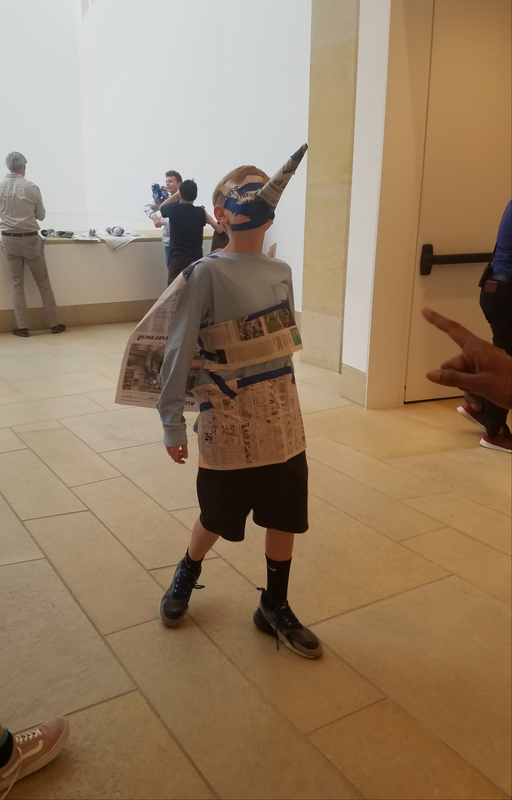 It’s wonderful to have those memories anchoring my connection to museums. The thing is, though, that I don’t remember feeling terribly engaged as my family moved from room to room, quietly contemplating the art—and I don’t think I’m the only kid who has ever felt that way. 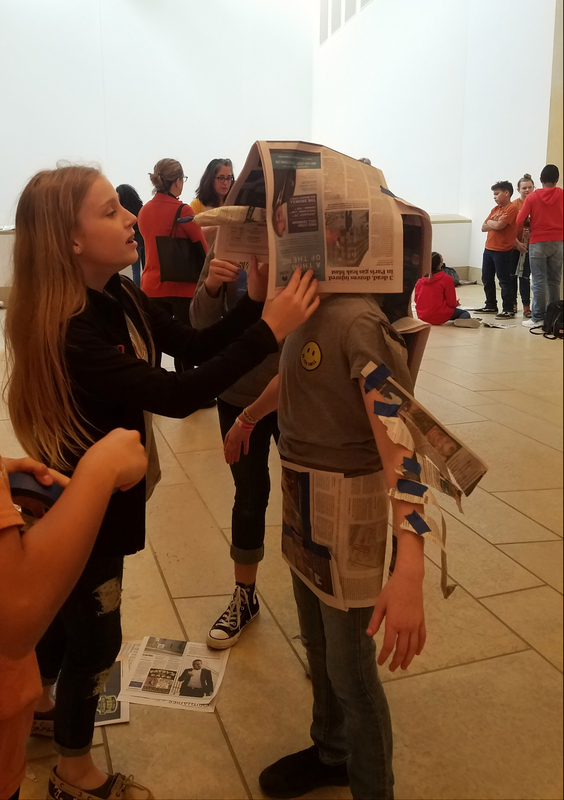 That’s why I am so inspired by the Blanton Museum of Art’s K–12 education program, which centers around dialogue, creativity, and interaction. And that’s why I’ve loved collaborating on the Art of the Book program with them. Designed to use the work of extraordinary illustrators as a jumping off point for art, the Art of the Book is one of my very favorite programs—partly because I feel like I get as much out of it as the kids do. 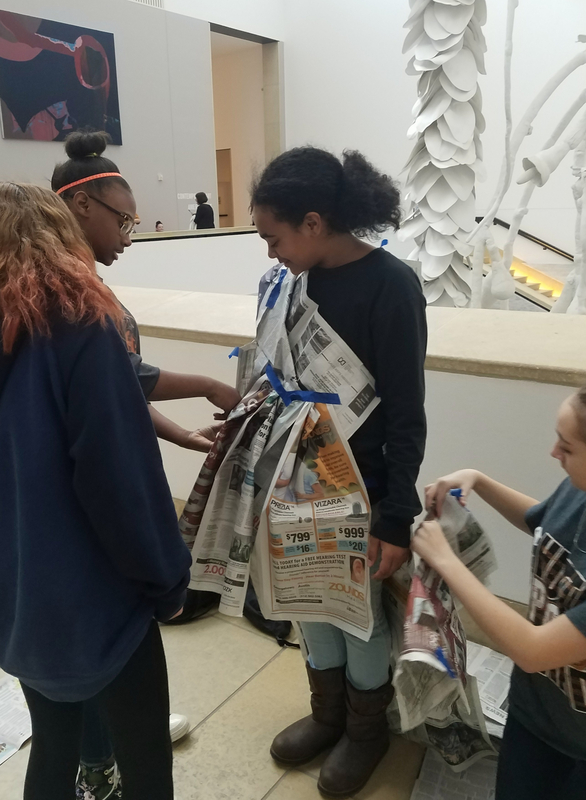 We’ve been trying to coordinate at least one event per school year, and I’ve previously shared posts about the fun we had with Javaka Steptoe and Armand Baltazar. This month, we were lucky enough to welcome M.T. Anderson and Eugene Yelchin to talk about The Assassination of Brangwain Spurge with 200 seventh graders from area middle schools. 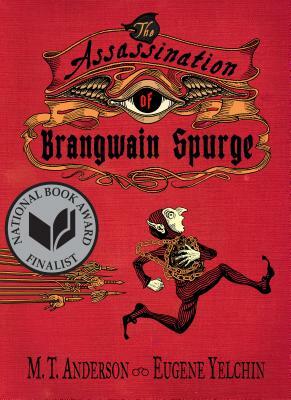 I love recommending The Assassination of Brangwain Spurge for upper middle grade and even YA readers because of how much there is to dig into—so much that I highly recommend going back and giving it a full re-read when you get to the end. 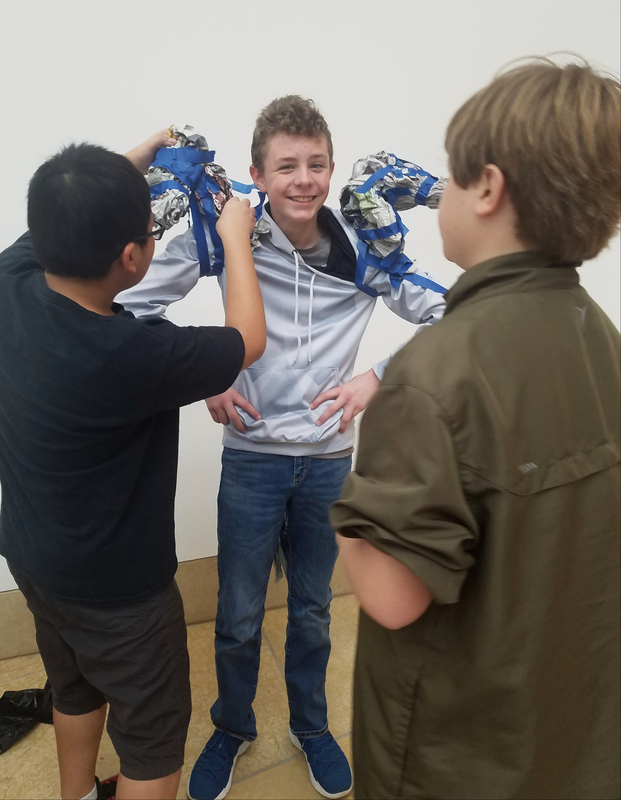 A cutting satire that subverts fantasy tropes about who is noble and who is villainous, this rollicking cautionary tale about an elf who catapults into the land of the goblins cleverly illustrates how our own biases shape the ways we perceive our world, which makes it a perfect jumping-off point for art discussion. From Eugene tracing the beginning of his artistic life to the time he spent as a boy secretly drawing on the underside of his parents’ dining room table to Tobin sharing the most elegant sentence he’s ever read (which was something from a washing machine manual about “agitator dogs” that was honestly too abstractly beautiful for my brain to fully hold on to), their conversation about creativity and inspiration was broad and often wonderfully surprising. They made a fantastic duo. Anyone who has seen M.T. Anderson present to kids knows how engaging he can be, so I knew kids would respond to his trademark candor and humor. 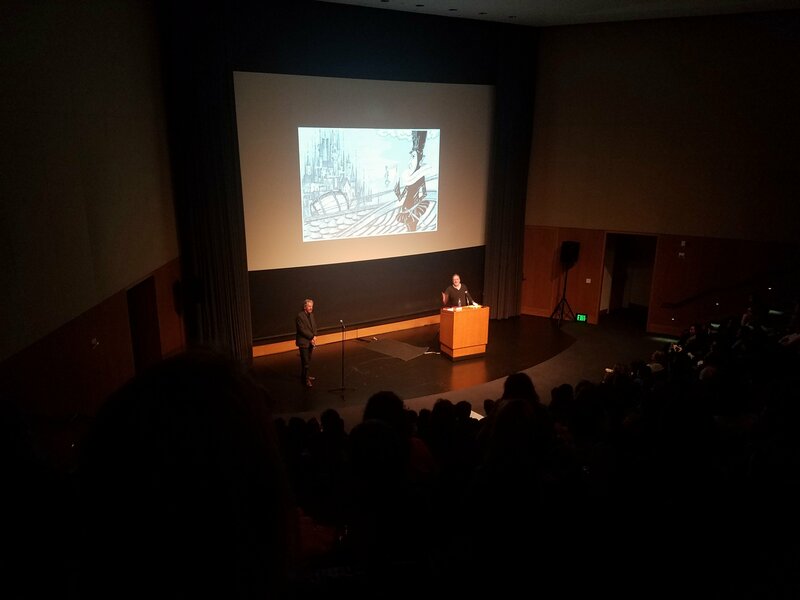 But I’d never seen Eugene Yelchin present before, and it was a true pleasure to hear him talk about his art in this venue, especially with a screen large enough to really highlight the intricacy of his drawings. 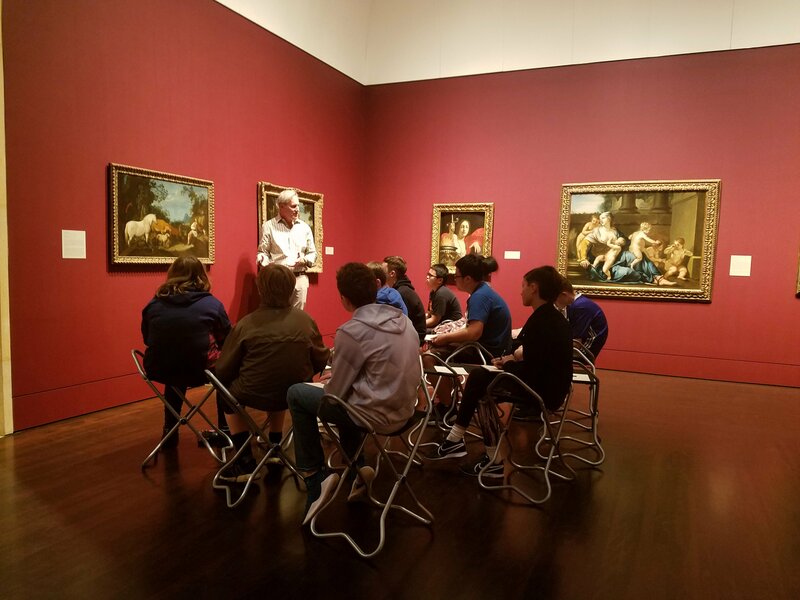 When we broke to head off into the galleries, the kids separated into groups of about 15 students each. 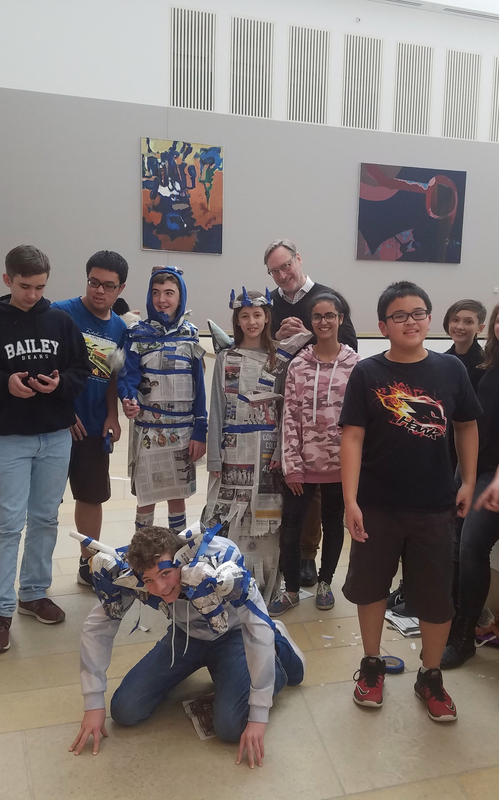 I couldn’t realistically keep track of each group, but I did spend some time with a few as they talked about what they saw in the art and worked on crafting characters that might live in the worlds of those pieces. I absolutely love watching the kids come to life in this setting, talking about what they think and what they see and what they want to make. Since this is all about interpretation, I’ve put all the photos of their creations at the end. See if you can match them up! A group inspired by a painting called Orpheus, Charming the Beasts had the most defined story to start with, so in the photos below you can clearly see Hades standing alongside Persephone and her crown, spikes adorning her shoulders “like stalagmites,” and clothes designed to evoke the long, thin, scraggly look they imagined would pass for underworld chic. And, of course, three-headed Cerberus crouches at their feet (after overcoming some tricky engineering issues). 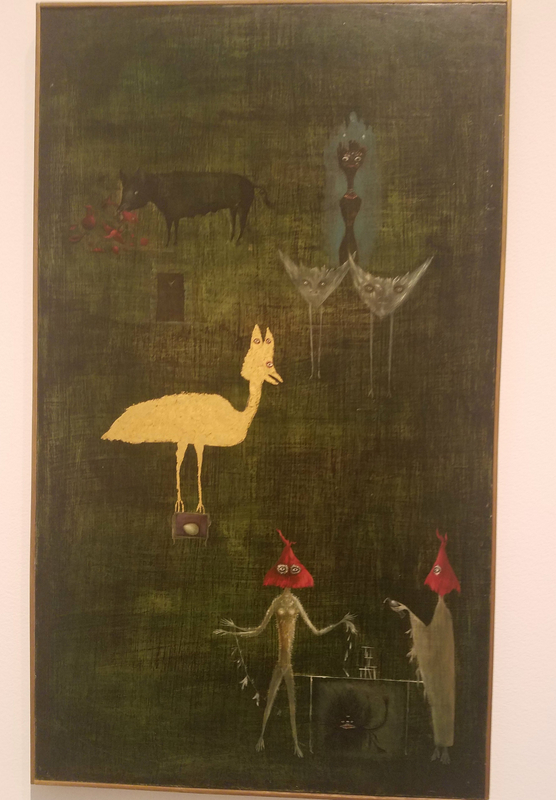 This painting with a striking yellow bird at the center was a bit looser. I heard kids talk about inspirations as diverse as Big Bird, red-hatted cultists, and powerful chickens needing red helmets to breathe in this dimension. In a particularly awesome twist, one bird that was wearing what looked like a simple newspaper skirt had actually envisioned a Brangwain Spurge-inspired catapult to help the chicken launch into the lands of her enemies. 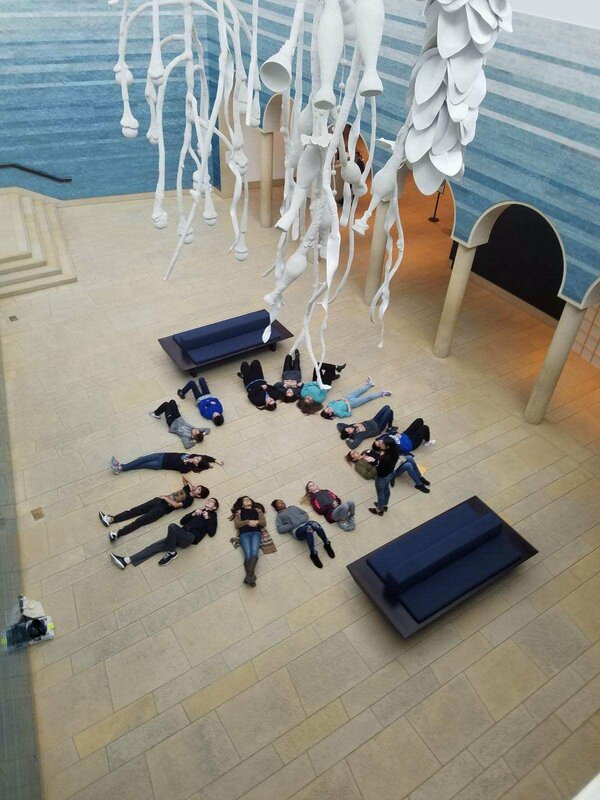 The last group had lain under a huge, dangling sculpture called Siphonophora, inspired by a sea creature that simultaneously functions as one entity and as many. 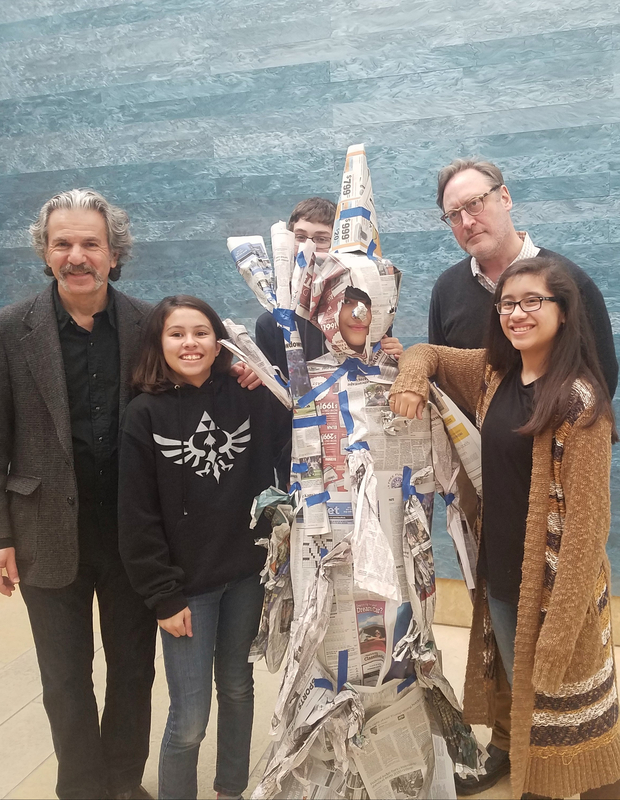 Their assignment was to look at the sculpture from all sides, to think about the environment it would live in, and to imagine a creature that might live around it. The heavily adorned showstopper I’ve featured here in the photos was called a “blubster,” a timid life form who adapted to the threat of the looming creature above by growing formidable armor all over to protect its own food supply. What do you think? Can you match the designs to their inspirations? This entry was posted in Uncategorized on February 1, 2019 by Meghan Dietsche Goel.